1965 was a watershed in speedway history with the formation of the British League and the British Speedway Promoters Association (BSPA). It was essentially an amalgamation which created one big domestic league comprising 18 teams. 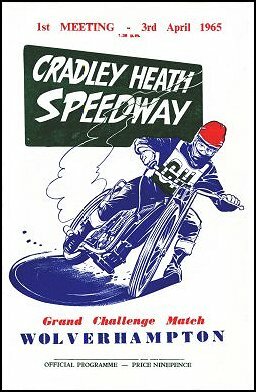 Cradley came to the tapes to compete regularly at the highest level for the first time, and welcomed the sports top riders to Dudley Wood every week. The Heathens even got the ball rolling by travelling to near neighbours Coventry for the first ever British League match. It was a 47-31 defeat on 27th March in front of a huge Brandon crowd, but for Cradley it underlined how much of a struggle the year would prove to be. 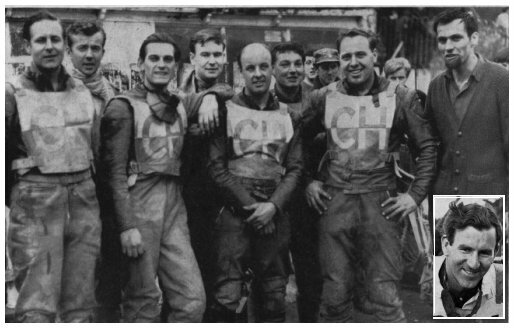 While the likes of Coventry kept their top riders from the National League in 1964, led by England International Nigel Boocock, the Heathens were deemed to be strong enough by the rider control committe and also kept the same line-up despite coming from the lower division. Ivor Brown was more than capable of leading the team and met the challenge of the higher standard with a 9.00+ average. However, he was stricken with an injury which kept him out of the saddle from June until September and his absence took it’s toll on the whole team. Already battling against tougher opposition, the squad was hit early on by an injury to George Major and also the bizarre news that the governing body went one step further by declaring the line-up too strong, therefore enforcing the release of Alan Totney. Team Manager Roy Moreton delved into the designated pool of unattached riders, first bringing in cult hero Chris Julian, then giving short-lived places to former Exeter rider Tim Bungay, ex-Norwich rider John Debbage and New Zealander Goog Allen. Leo McAuliffe, a 32-year old experienced Welshman and former World Finalist, was also brought in to play a larger part, primarily deputising for Major. In the end, the short-term replacements created much swapping and changing of the ranks but never really allowed the Heathens to blossom. With injuries playing a further part, it was always going to be extremely tough for the club to compete in the new league. The season fizzled out in the final weeks culminating in a 16th place finish, ahead of only Edinburgh and Long Eaton. Wolves were responsible for inflicting a home defeat in the Knock Out Cup in July and also took the honours in the Dudley-Wolves Trophy. Minor consolation came in September with victory over Newport in the Iron and Steel Trophy but it wasn’t enough to bring much cheer to a difficult season. Chris Julian 3, John Debbage 3, Ron Cooper 0. John Hart 6, Chris Julian 4, Eric Hockaday 2, Goog Allen 2, Ron Cooper 0.